Remember the LeapPad tablet aimed at kids aged 3-9 that Notebookcheck told you about last year? It seems the company behind this educational device (which presumably won the 2012 Toy of Year award), LeapFrog, will soon start taking pre-orders for its next generation learning tablet, conveniently called LeapPad 2. The manufacturer’s CEO, Mr. John Barbour, was quoted as saying: "We were surprised by the incredible consumer demand for the LeapPad from the day it launched," … "It was one of the hottest and hardest-to-find kids' products last holiday season, and it received significant praise from parents, educators and the industry. With the introduction of the innovative LeapPad2 platform, LeapFrog continues to revolutionize and lead the category with engaging entertainment experiences filled with life-changing education that help children reach their potential." Considered the #1 learning tablet, the new LeapPad 2 will be equipped with a faster LF 2000 processor (the previous model had a 400MHz CPU) and a touchscreen display. Furthermore, it will accommodate 4GB of internal storage (double the memory of its predecessor), an improved battery life and dual cameras (front and back) for taking pictures or shooting videos; all housed in a presumably “more” durable design. According to the maker, the slate PC is compatible with LeapFrog’s Explorer cartridges and the company’s App Center. In addition, kids will be able to access the LeapPad content library, which reportedly offers numerous games, apps, music videos, eBooks and more. 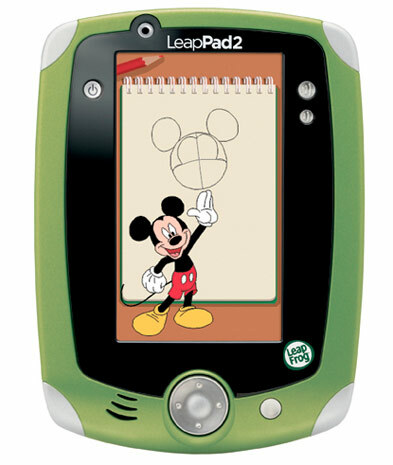 The LeapPad 2 is priced at $99,99; it will be available for pre-order on July 18. If you want to know more, hit the PR after the break.